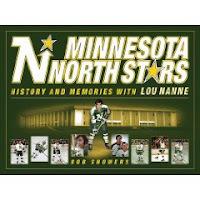 Minnesota North Stars: History and Memories with Lou Nanne by Bob Showers. At the conclusion of the 1992-1993 NHL season, the Minnesota North Stars franchise was moved from Bloomington to Dallas. Twenty-six years of hockey was erased. In Minnesota North Stars, that legacy is restored. Through vintage photos, official team stats and the wonderful storytelling of Lou Nanne, this book captures the rich and colorful history of the North Stars. 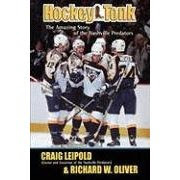 Hockey Tonk: The Amazing Story of the Nashville Predators by Craig Leopold with Richard W. Oliver. Since becoming an official franchise of the National Hockey League in May 1998, The Nashville Predators have gained an incredible amount of regional and national attention. In Hockey Tonk, owner Craig Leipold and Richard Oliver take readers on a fascinating journey from the birth of the Nashville Predators to the planning and execution of the team's inaugural season. From their first game in October 1998 before a sell out crowd of more than 17,000 to games being played today, the Nashville Predators have drawn a total of more than a million fans to their games. This book goes behind the scenes to describe not only how the Predators got and kept so many fans so fast, but also how they became one of the NHL's most successful expansion teams in just one season. Fans and business people alike will be interested in this amazing story. The U. S. hockey team's victory at the 1980 Olympics was a "Miracle on Ice"--a miracle largely brought about by the late Herb Brooks, the legendary coach who forged that invincible team. Famously antagonistic toward the press at Lake Placid, Brooks nonetheless turned to sportswriter John Gilbert after each game, giving his longtime friend and confidant what became the most comprehensive coverage of the team. 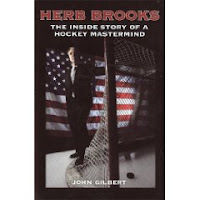 This book is Gilbert's memoir of Brooks. Neither strictly biography or tell-all expose, Herb Brooks is the story of an extraordinary man as it emerged in the course of a remarkable friendship. Gilbert, writing for the Minneapolis Tribune, first met Brooks during his coaching days at the University of Minnesota, whose hockey program he resurrected in the 1970's. The two became fast friends, and here, for the first time, Gilbert relates anecdotes--his own and former players'--that illuminate Brooks' oftentimes hard-nosed coaching methods, his dramatic successes, and his incomparable character. As Canadians, we all think we know hockey inside and out, but Doug Lennox, the head referee of Q&A, delivers the score on everything from All-Stars to Zambonis and stickhandles the skinny on who wore the first mask in hockey, how the term hat trick originated, and just where hockey was invented. 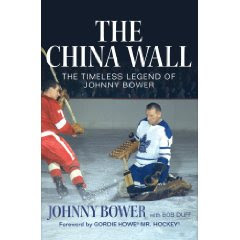 Along the way, you’ll discover all sorts of fascinating things about the giants of the game, from Jean Beliveau and Sidney Crosby to Gordie Howe and Alexander Ovechkin. * Who was the first black player in the NHL? * Where did the word deke come from? * What was the greatest women's hockey team of all time? * How did the Rocket Richard riot start? * Who was the first Russian to play in the NHL? * When was the Stanley Cup not awarded? * What team beat Canada for the gold medal in the 1936 Winter Olympics? 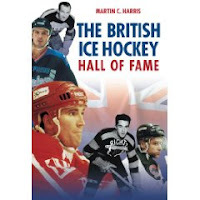 The British Ice Hockey Hall of Fame by Martin C. Harris. The British Ice Hockey Hall of Fame, which currently holds 93 members, was started in 1948 by the weekly newspaper Ice Hockey World. Each year, a committee of hockey journalists considers potential new inductees, the criterion being that an individual must have rendered "outstanding service to British ice hockey." This book celebrates the achievements of all these players with photographs and short biographies. To some hockey players, the number on their sweater is especially significant. It is as essential to the spirit of the player as is his childhood, his upbringing, or the skill that got him to the NHL. The Little Book of Hockey Sweaters Vol. 2 offers the inside story from professional hockey players, both past and present, on the numbers they selected to wear on their backs. 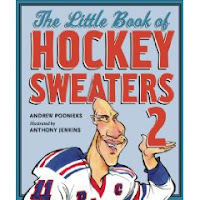 Compiled by bestselling author and sports journalist Andrew Podnieks, with illustrations by The Globe and Mail ’s Anthony Jenkins, The Little Book of Hockey Sweaters Vol. 2 is a follow-up to the hugely popular original, which covered such hockey greats as Wayne Gretzky and Mario Lemieux. 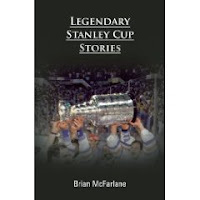 In this second volume, also a must-have for hockey fans and trivia buffs, they dig deeper, and find more stories about well-known players—from Bobby Hull to Darcy Tucker—for whom the jersey number represents a key part of their identity. It's the 18th annual edition of the Beckett hockey card price guide. At nearly 1100 pages long, the Beckett hockey card price guide has practically every hockey card ever made listed and priced. It also serves as an alphabetical check list.